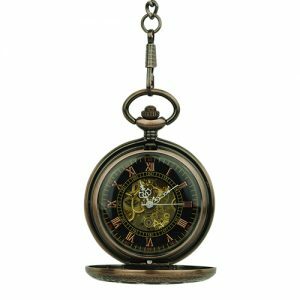 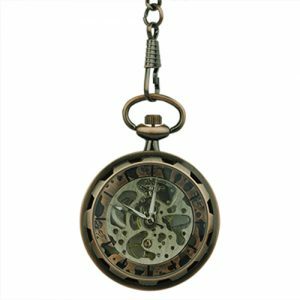 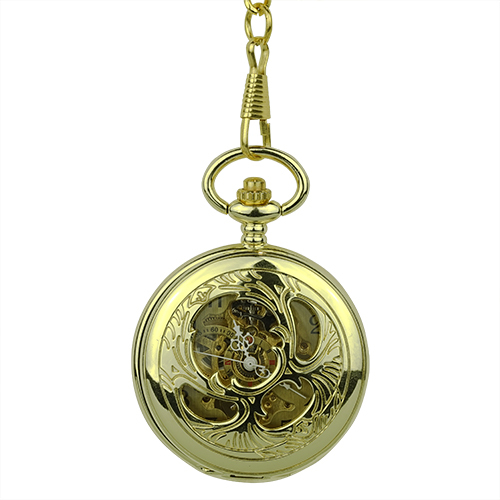 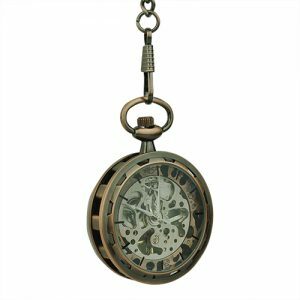 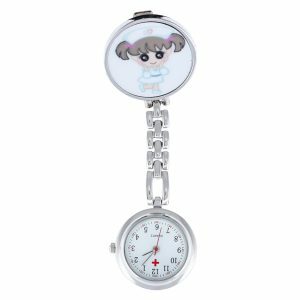 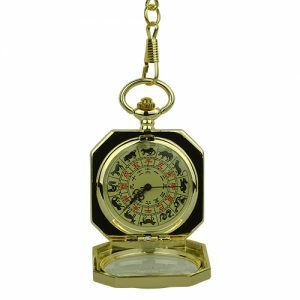 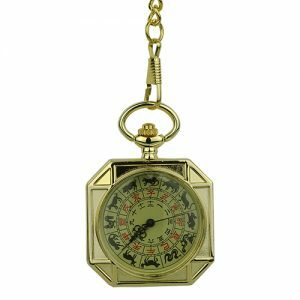 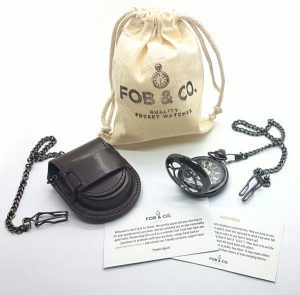 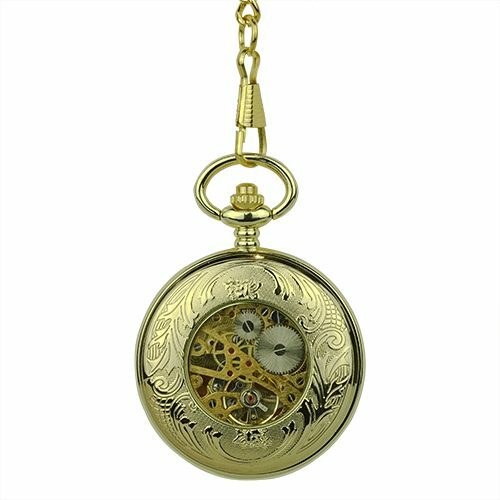 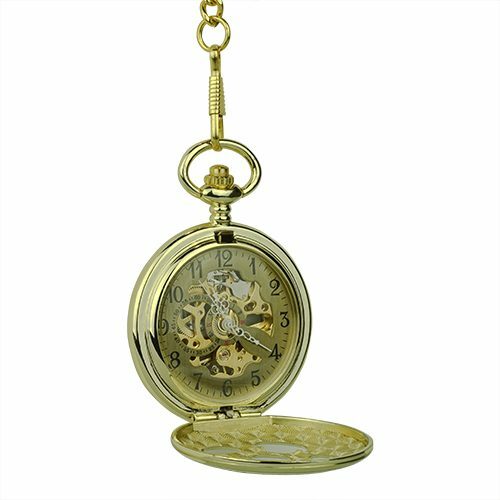 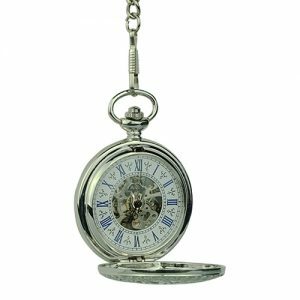 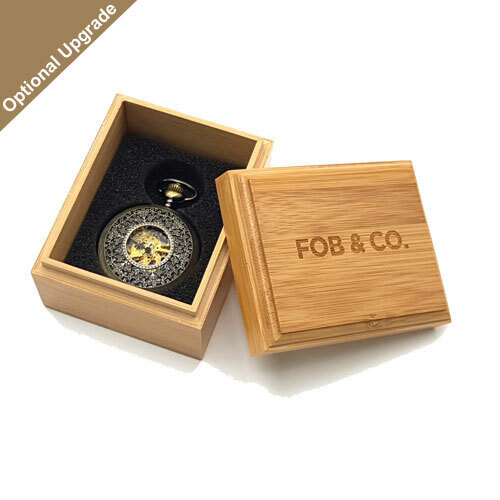 Blossom Romance Gold Tone Pocket Watch - Fob & Co. 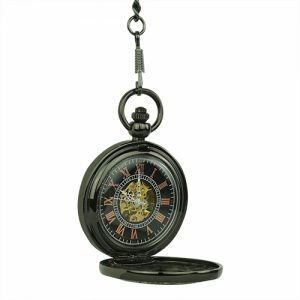 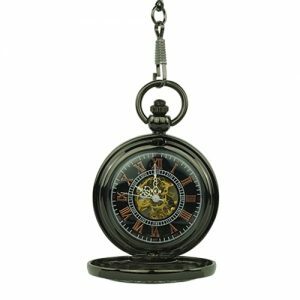 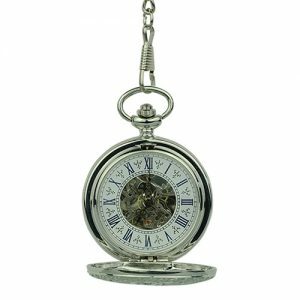 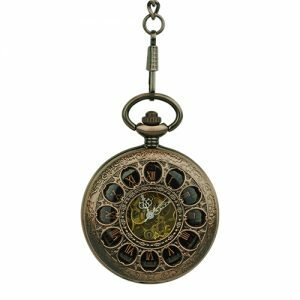 This wonderful timepiece features finely-carved, golden Victorian embellishments on the front cover while the back cover boasts beautiful vines and a window to glimpse the inner workings. 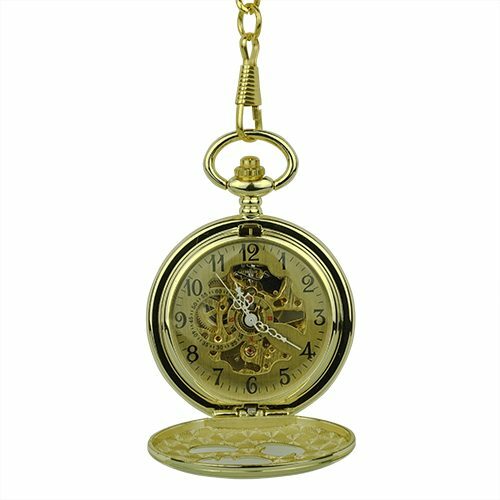 The inside shows off elegant black Roman numerals against a gold background and a gold skeleton as the main attraction.